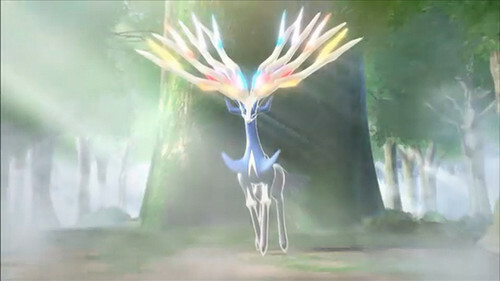 Xerneas - New Legendary of Pokémon X . . Wallpaper and background images in the Legendary Pokemon club tagged: New pokemon legendaries x & y xerneas. This Legendary Pokemon photo contains bouquet, corsage, posy, nosegay, hippeastrum, hippeastrum puniceum, rose, and rosebush. There might also be japanese apricot, mei, prunus mume, opium poppy, papaver somniferum, oriental poppy, and papaver orientale.